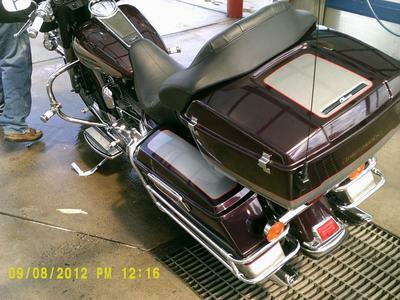 The 2007 Harley Ultra Glide Classic Touring Motorcycle for Sale has had only one owner and been ridden only 1200 total miles. 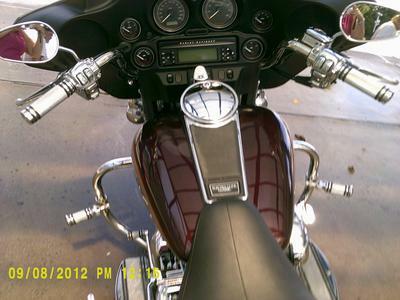 The Ultra has a beautiful cherry red and silver two tone paint color combination and lots of chrome and extras. 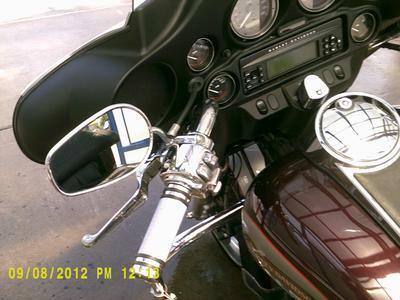 PLUS, there is one year left on the Harley warranty. The tourer has never been wrecked and has no scratches. It's in excellent garage kept condition. If you have any questions about the Ultra Glide Classic or any of the upgrades and add-ons you are welcome to contact me using the space below that has been provided by GoGoCycles Used Motorcycles for Sale (and PLEASE do not neglect to include your contact information in your email or to provide a phone number or email address!) so that I can respond with answers to your questions or after consideration of your best offer as quickly as possible. 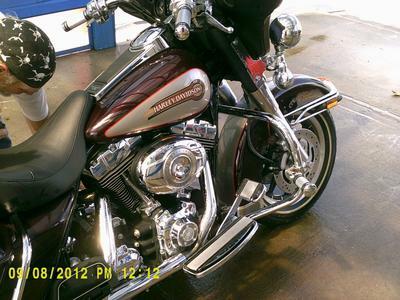 In my opinion you will not find another used Harley touring motorcycle for sale as nice as this one in Hampton Roads, VA Virginia, on Craigslist or Ebay auction so hurry and make an offer before it gets away from you! GoGoCycles invites visiting bikers to submit a review of the 2007 Harley Ultra Glide Classic Touring Motorcycle for Sale to make the biker community aware of any problems that are commonly associated with the 2007 model or to highlight its positive features and help potential buyers make informed decisions. My asking price for the 2007 Harley Ultra Classic for sale is a very cheap $15,000 so email me FAST before it's gone and don't forget to mention that you found this ad on GoGoCycles Used Motorcycles and Parts for Sale www.gogocycles.com. I'm interested in your bike.